Ben DuBose has over twenty years of asbestos and serious personal injury litigation experience, successfully fighting for mesothelioma and serious personal injury victims in courts throughout the United States. Ben has represented mesothelioma and lung cancer victims with wide-ranging work experience including pipefitters, insulators, boilermakers, operators, millwrights, mechanics, drywallers, electricians, railroad workers and veterans of the United States Armed Forces.Ben is also nationally known for investigating the asbestos content of oilfield drilling mud additives and has successfully represented oilfield workers that were exposed to asbestos drilling mud additives on drilling rigs in Texas, Oklahoma, Louisiana, North and South Dakota. He has also represented children and spouses of those who were occupationally exposed to asbestos and brought asbestos dust home on their clothing. 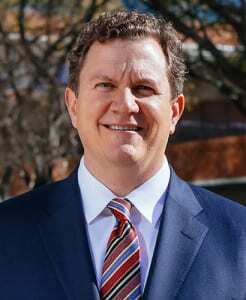 Ben has also represented victims of wage and hour abuse under the Fair Labor Standards Act.Thanks to his legal savvy and years of experience litigating complex cases, Ben was recognized by his peers and D Magazine in 2009 , 2011 and 2016 as one of the “Best Personal Lawyers in Dallas” as well as a Texas “Super Lawyer” each year from 2009 through 2017 by Thompson & Reuters as printed in Texas Monthly magazine. Ben cherishes the opportunity to help injured victims and their families. “People come to me because they need help,” Ben says. “Our practice is designed so that I can fight as hard as I can for them. It’s a privilege and an honor to represent ordinary people dealing with extraordinary circumstances.” Not only has Ben fought to help others through his representation of mesothelioma and serious personal injury victims, but also through his pro bono work. In one case, Ben represented a victim of the 9/11 attacks seeking compensation from the September 11th Victims Compensation Fund through the non-profit legal services organization, Trial Lawyers Care. In addition to asbestos victims, Ben has represented a wide variety of serious personal injury and wrongful death victims, including serious injuries, auto collisions, pharmaceutical, overtime-pay and product liability cases. Ben is a Dallas native. Outside of his busy legal practice, Ben is a devoted husband and father to three beautiful children. He also coaches of a high school mock trial team. “Price Tag for Silence – Asbestos HVAC Flexible Duct Connectors” – Plaintiff Asbestos Conference, Las Vegas, Nevada May 13, 2016.